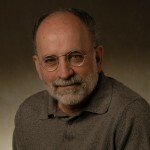 Recently there has been news stories on at least Fox and NPR about the Parkinson’s Voice Initiative (http://www.parkinsonsvoice.org/index.php). They are asking for 10,000 people to call in for 3 minutes to analyze their voice to develop a data base that will diagnose whether or not one has Parkinson’s disease. They have found that defects in the voice are very accurate at determining whether or not you have Parkinson’s disease. The phone number if you would be interested in making the call is 857-284-8035 for the U.S. Please see their website for other countries. I think that this finding in the Parkinson’s voice initative is further evidence that there is a jaw misalignment component to Parkinson’s disease. The consensus of clinical experience indicates that bite dysfunction is at the foundation of many forms of movement disorders, and speech abnormalities would be expected. Case history: I recently saw a 20 year old male with speech apraxia (wiki:http://en.wikipedia.org/wiki/Apraxia), tremors, and poor balance. Not only was his speech compromised, but also was his gross motor movements (both noticeably jerky). His symptoms had increased at age 14 when he had head trauma at the same time he was under going orthodontic treatment with extractions. His orthodontic treatment has left him with a major jaw misalignment. I expect that jaw reposition therapy will resolve many of his issues, particularly his fine motor control and speech apraxia. The following abstract points out that apraxia is due to defects in sensory integration, known to be from the reticular formation, not the cerebrum as is thought in apraxia. It is the reticular formation where tremors are generated and where bite dysfunction manifests its pathology . And it will be defects in the reticular formation that accounts for the defects found in the voice analysis of the Parkinson’s voice initiative. Novartis Found Symp. 1998;218:308-25; discussion 326-31. The apraxias are higher-order defects of sensorimotor integration. University Department of Clinical Neurology, Institute of Neurology, National Hospital for Neurology and Neurosurgery, London, UK. The classical features of motor disorders due to neurological disease affecting the pyramidal pathways, cerebellum and basal ganglia in humans are well known. What is less understood is the clinical world of apraxia–‘inability to perform purposeful skilled movements in the absence of any elementary motor (weakness, akinesia, abnormal posture or tone) or sensory deficits, or impaired comprehension or memory’. Much of what clinicians call apraxia is a failure of gesture production to command, due to problems of transcoding language into motor action, without motor deficit in ordinary life. However, damage to premotor regions and superior parietal lobules provokes devastating spontaneous higher-order motor deficits, including limb-kinetic apraxia, diagnostic apraxia, visuomotor apraxia and ideational apraxia. From the moderate sample of Parkinsons TMJ patients that I have seen, there are emerging trends that I think need to be pointed out. Four of the last six patients have been orthodontically treated four bicuspid extraction cases. The Parkinsons TMJ patients all had severe jaw alignment defects; some severely retruded, some with excess vertical space between the teeth when the jaw is relaxed (i.e. excess freeway space). The over riding symptoms have been rigidity and various types of movement disorders, but not necessarily tremors. Extraction of teeth is almost never good with orthodontic treatment. It is typically done when an orthodontist erroneously takes no functional records (i.e. only skeletal records=traditional records = ceph, study models, pictures). Orthodontists are not taught much about jaw alignment (jaw orthopedics), hence they treat only to a cosmetic ideal, typically disregarding functional requirements, and causing stressful bites. This leads to elevated neurological activity, elevated neuropeptides, and ultimate neurological degeneration. It is frightful to think that a significant percentage of extraction cases would turn into Parkinsons TMJ patients since so many people have been treated orthodontically with extractions. The last new Parkinsons TMJ case I saw this week, was a non-orthodontically treated female with intermittent tremor, right side rigidity, lots of TMJ symptoms, and an occlusion in which her lower jaw was 3 mm left of the upper jaw (congenital defect). Palpation of her inner ear showed the left TMJ to be severely displaced backwards into her ear space as a result of her bite being shifted 3mm to the left. The rigidity would be expected on the right side as a result of the jaw shifted to the left (animal studies show that lowering bite on left causes hypertonicity on the right). 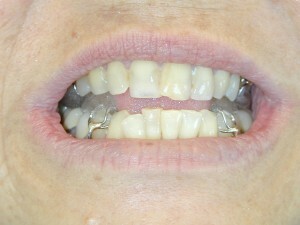 Treatment will entail jaw repositioning with twin block crozat appliances (phase I) similar to the attached picture. With the diagnostic repositioning it is expected that her tremor and rigidity will resolve. If successfully resolved, she will need to be stabilized in the therapeutic position with a combination of orthodontics and overlay crowns ( to make back teeth taller). Blink reflex has been found to be abnormal in 70% of Parkinson’s patients. This associated pathology very strongly supports the jaw misalignment hypothesis of Parkinsonism since trigeminal stimulation impacts blink response. Blink reflex (see corneal reflex/ Wikipedia)is the closing of the eyelid when the eye is endangered. Blink reflex defects usually involves excess frequency of blinking or decreased frequency of blinking. Greater activation of dopaminergic pathways dopamine production in the striatum is associated with a higher rate of spontaneous eye blinking. Conditions in which there is reduced dopamine availability such as Parkinson’s disease have reduced eye blink rate, while conditions in which it is raised such as schizophrenia have an increased rate. Generally, between each blink is an interval of 2–10 seconds; actual rates vary by individual averaging around 10 blinks per minute. Eye blinking can be a criterion for diagnosing medical conditions. For example, excessive blinking may help to indicate the onset of Tourette syndrome, strokes or disorders of the nervous system. A reduced rate of blinking is associated with Parkinson’s disease. Parkinson’s patients have a distinct serpentine stare that is very recognizable (Wikipedia: blink). Blink reflex involves trigeminal sensory input, and seventh cranial nerve output. Bite dysfunction can cause altered trigeminal sensory input and thus cause abnormal blink reflex (supported by published literature and case histories in my practice). This close connection with the trigeminal has been overlooked in all the articles I have found on Parkinson’s and blink reflex; most articles assume that the blink reflex defect is caused by dysfunction within the brain stem. Blink reflex defect is also associated with ALS and scleraderma. I am currently writing an article hypothesizing that bite therapy will likely be effective at reversing ALS. Today a patient told me of a relative who was recently diagnosed with Parkinson’s, but also has lymphoma. These two conditions together increase the likelihood that the cause of both is a bite problem. When the bite is off it affects the reticular formation (hence tremor) and it causes elevated “substance P” with consequently altered blood formation. Many case histories have shown that jaw malalignment can cause a wide spectrum of movement disorders: trigger finger, blink reflex, torticollis, scoliosis, poor gait, weak limbs, etc. Some of these case histories have also shown that dystonia is but another form of movement dysfunction often caused by jaw malalignment. That came to light this week when I examined a new patient with a Parkinson’s diagnosis. Her primary symptom was not tremor, but moderately severe dystonia. She could not sit in the exam chair without considerable twisting, turning, and head movement. When I propped her jaw open with bite material her dystonia immediately ceased by over 90%. Hence, once again the traditional Parkinson’s model based on neurotransmitter imbalances has failed to explain another aspect of the disease. TMJ manifests as a lot of different conditions, from mild to life threatening. One area that is often overlooked is the effect of a poor aligned jaw on elder persons. This can be critical to quality of life. In some instances where the TMJ condition is affecting blood flow to the brain, it can be life threatening. The following article discusses many of the ways jaw malalgnment affects the elderly (Use_of_Jaw_Orthopedic_Therapy_in_an_Anti-aging regimen). Long term disturbances in the trigeminal system are the cause of most forms of Parkinson’s. In most cases this is going to be due to jaw malalignment, though it could be other disturbances within the trigeminal system. There is massive evidence within the medical literature that this is a valid hypothesis. I shall be presenting the evidence in support of this hypothesis over the next few months in this website. There are numerous articles that extoll the virtues of acupuncture for Parkinson’s (effect of scalp acupuncture in parkinsons). I would definitely give this careful consideration in the event that I had Parkinson’s. But the most important part of knowing that scalp acupuncture provides significant benefits, is that it is but another fact supporting the trigeminal disturbance hypothesis as to the etiology of Parkinson’s. That is, when trigeminal sensory input is altered as with jaw alignment appliances, Parkinson’s symptoms respond. Below is an article that I think is important, but which I believe will fail as my research shows that Parkinsons is due to a long term disturbance in the trigeminal system (most cases due to jaw malalignment). If the initial problem is never fixed, there is no expectation that the problem will go away. The fix would be temporary at best. Monkey stem cells can repair the brain damage caused by Parkinson’s disease, Japanese researchers have shown. The findings, published in the Journal of Clinical Investigation, offer renewed hope of a similar treatment for humans. Until now, research showing stem cell therapy can work in Parkinson’s has mainly been carried out on rodents. The Kyoto University team said more research was now needed to prove the treatment was safe and effective. Stem cells are premature cells that are capable of becoming any of a number of mature cells within the body, given the right conditions. Dr Jun Takahashi and colleagues took some stem cells from monkeys and encouraged them to grow into the brain cells, or neurons, that are damaged in Parkinson’s disease. These are neurons that produce the chemical messenger dopamine. To encourage their development the researchers exposed the stem cells to a growth factor that is produced exclusively in the area of the brain affected by Parkinson’s disease and is thought to have a protective effect on dopamine-producing neurons. They then transplanted the stem cell-derived dopamine-producing neurons into monkeys with a condition analogous to human Parkinson’s disease. But they said a number of safety and efficacy concerns still needed addressing. Rodents treated in a similar way went on to develop tumors. Also, the number of cells produced by the stem cell technique may still be too few to treat humans. This website is being launched to bring forth the quickly evolving information about the treatment of Parkinson’s through jaw orthopedic therapy. I have been heavily involved in the research and publication of articles on this subject since 2007. Literature since as far back as the 1950″s has reported the benefit of jaw alignment therapy for movement disorders. I welcome your questions. Parkinson’s is associated with a very broad spectrum of dysfunction, as is cranio-mandibular dysfunction. Multiple therapies that alter sensory input from the head (trigeminal nerve/cervical nerve) have been shown to be affective at modulating Parkinson’s symptoms. It is my goal to substantiate the hypothesis that long term cranio-mandibular dysfunction is the likely cause of most cases of Parkinson’s as well as present multiple case histories. I would like to acknowledge Jo Rosen at parkinsonsresource.org for the tremendous amount of work that she has done to bring this to the forefront. I would encourage all to subscribe to her newsletter as a source of information on Parkinson’s treatment.